Usually hearing “It’s not what you say, it’s how you say it.” from my parents when I was a kid, meant I was in trouble, and I was in the doghouse. Instead when I’m sharing this with you now, in much different context, and it also applies to your digital marketing strategy! 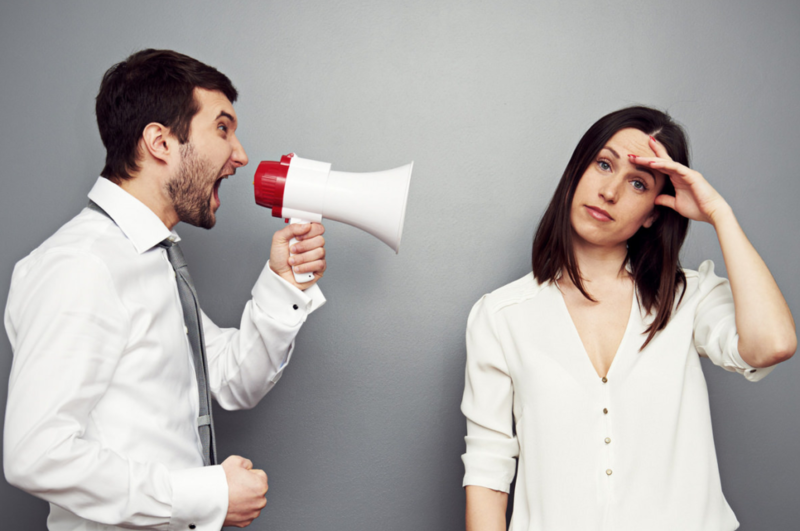 Your “tone of voice” may not necessarily be “heard,” in the traditional sense. Your voice is on your website, social media platforms and in a visual sense, even your company’s logos and visuals that represent you. Giving your brand a tone of voice is imperative because it is not only what sets you apart from others in your industry, it gives your brand an identity. At EVVUS, we are very conscious of our tone of voice as well. We strategically come from a position of positivity, creativity and forward thinking. In much of what we say and write, our tone is fun, uplifting and open-minded. We’re striving to help our clients be great and want to match our actions with our words. Know yourself and your audience. Who are you trying to reach? Are you trying to reach millennials? Or are you targeting an older, more reserved audience? Once you find your audience, be sure you stay true to yourself. As we said in our previous post about nurturing your personal brand, being original and being yourself is essential for differentiation. People can sense when you’re faking it, so authenticity is key. Be consistent. You may be sick of reading this over and over again, but it is so important in many aspects of branding. You don’t want your brand’s social media accounts to be super casual and fun and then your website be formal, dry and boring. Keeping the same tone across all platforms, both digital and in person, gives you the connection that so many consumers desire. The result of that is that they trust you and your product. Be different. What makes your brand stand out? Why should you get picked first on the kickball team? Get the creative juices going. Come up with some sort of mission statement, like your objective on your resume line – or mantra, or whatever you want to call it. It will help you push yourself to analyze your strategy and come up with aspects that separate you from your competition. Talk and type it out. This is something that can help you with how you’re coming across in the digital universe. If you write it down and say it out loud, it may have two completely different tones or meanings. Your quirky sense of humor may come through when you’re in person, but reading it, it may fall flat. Be conscientious of if your tone is catering to one side of the crowd. If you go too far, you may lose others. This is especially important in social media, as it doesn’t take much to start a heated conversation and even though you can edit posts on Facebook or Instagram, people don’t forget! The content in your digital marketing strategy is half the battle. Nailing down your tone of voice helps you be memorable, hopefully for all the right reasons! Free 30-min consultations are available.